Identive Group, a provider of solutions and services for the identification, security and RFID industries, is scheduling shipment of 9.5 million SmartCore card cores to address more than 25 design wins with contactless smart card manufacturers worldwide, new customer orders and partner demand. Identive’s SmartCore card cores serve as the heart of contactless smart cards, which are used for numerous ID applications such as building access, payment, transportation and event ticketing. The combined shipments are valued at nearly $2.5 million and include a significant order for 8 million card cores to be delivered in the second quarter of 2013, which will be used to manufacture multi-function door key and payment cards for the consumer travel and leisure industry. The company’s patent-pending manufacturing process results in exceptionally thin, flat card cores in which the RFID chip and antenna are fully encapsulated in protective material. 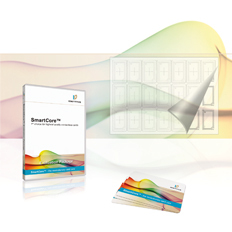 Contactless smart cards made using this method achieve results with no bumps around the implanted chip and an exceptionally smooth surface that facilitates high-definition image printing and consumer branding. Additionally, SmartCore requires a lower lamination temperature for manufacture, which results in reduced energy costs and more environmentally friendly operations.